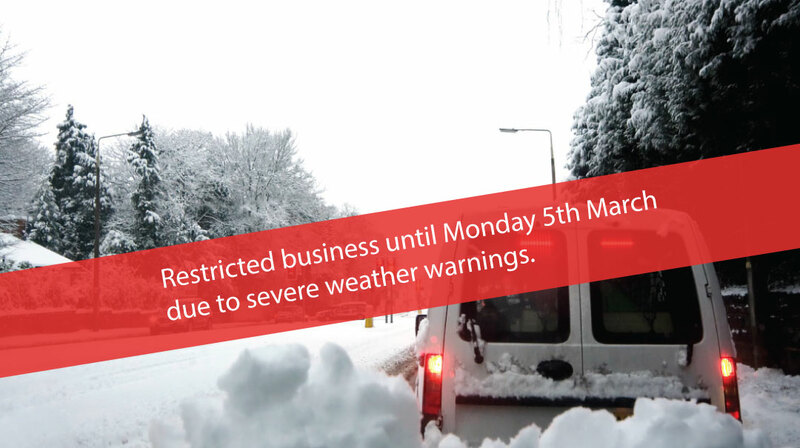 Due to the severity of the weather warning, we will have restricted business on Thursday and Friday 1st and 2nd of March. The safety of our staff is our primary concern. Please contact Niamh on 087 9225243 or Eucharia on 087 908 5341. Niamh & Eucharia will be happy to place orders and answer any queries you may have. Delivery of goods will also be delayed as weather conditions have impacted courier services.